Helicopter pilot Adam Gibson returns home on his birthday to find a double of himself in his place. He is then pursued by people trying to kill him and realises that he has been cloned, something that is prohibited by law. His determination to reclaim his identity plunges him into the midst of a conspiracy involving a corporation that is promoting illegal cloning and is now determined to eliminate all evidence of its mistakes. In the 1980s and early 90s, Arnold Schwarzenegger was the name in action movies. However, by the late 1990s, Schwarzenegger’s star faded with commercial and critical flops like Last Action Hero (1993), True Lies (1994) and Batman & Robin (1997). During this time, Schwarzenegger’s efforts to reclaim his action mantle met with mediocre success. 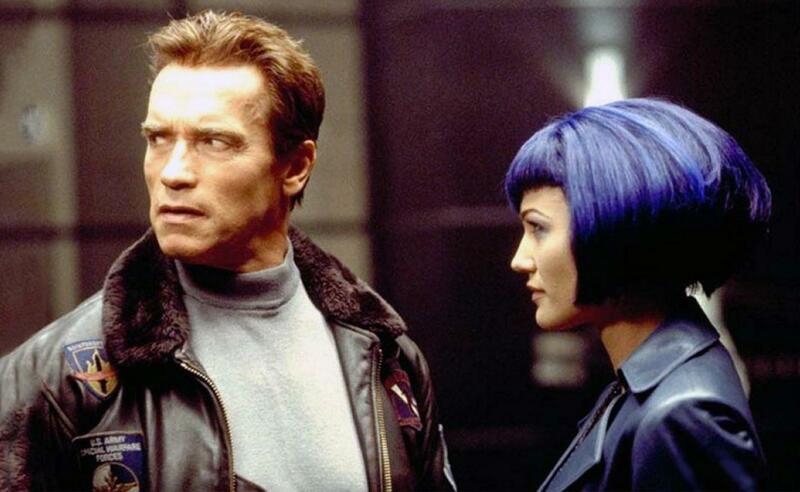 Eraser (1996) was acclaimed as a new stripped-back Arnie but was just another flop. So too were End of Days (1999) and Collateral Damage (2002). Neither was The 6th Day the hit that Arnie was looking for, even if it was the best film he had made in some time. The 6th Day seems to herald a revisit to the heyday of Arnie’s Total Recall (1990) – with more than a few dashes of Blade Runner (1982) thrown into the mix. As in Total Recall, The 6th Day features Arnold Schwarzenegger as a family man who suddenly finds the comfort of his life overturned and he on the run in a labyrinth of confused identity questions. [There are also many similarities between The 6th Day and The Clones (1973), which was the first film to ever refer to and use the term clone]. With Canadian director Roger Spottiswoode, who previously made the James Bond film Tomorrow Never Dies (1997) and before that the acclaimed Under Fire (1985) and the slasher film Terror Train (1980), at the helm, The 6th Day moves well. There are all the expected helicopter chases, car chases, explosions and shootouts but these never overrun the film and are always constricted within a fair plot. It is certainly a plot that swings a few improbabilities – the ability to produce an identical clone within two hours – and holes – it is never made clear why it was necessary to clone Arnie in the first place, surely such a powerful company could have far more easily made him vanish instead. The 6th Day is at its best when it is playing games of identity confusion – like Arnie trying to avoid his other self when he turns up at his own house. Although ultimately it is a script that concentrates on thriller mechanics rather than character – it never gets inside the question of identity in the way that say Blade Runner delved into the soul of the replicant and its hunter. The fun to be had in the film (at least in the first half) are the same pleasures of Cyberpunk – the nifty gadgetry and aspects of the future culture casually littered throughout – nacho-flavoured bananas, references to a woman President and the Rainforest Wars, a trip to a pet-cloning store, lifelike Simdolls with real hair, remote-control cars, virtual girlfriends and, during a trip to a police station, a virtual attorney and a virtual psychologist. Ultimately, The 6th Day is a conservative film. It resorts to the nebulous notion that cloning is something that defies divine provenance. At one point, Tony Goldwyn challenges Arnold Schwarzenegger: “Who should decide these things?” [the right to clone] to which Arnie roars back “God.” The film sees that defying natural order – that things are best off left the way they are, imperfect and all – as being a moral outrage, something that far outweighs any benefits that might be gained. In a more muted way, The 6th Day is akin to 1930s mad scientist films, which called lightning bolts and social chaos down on scientists who resurrected the dead, transplanted brains and sought to extend the aging process. 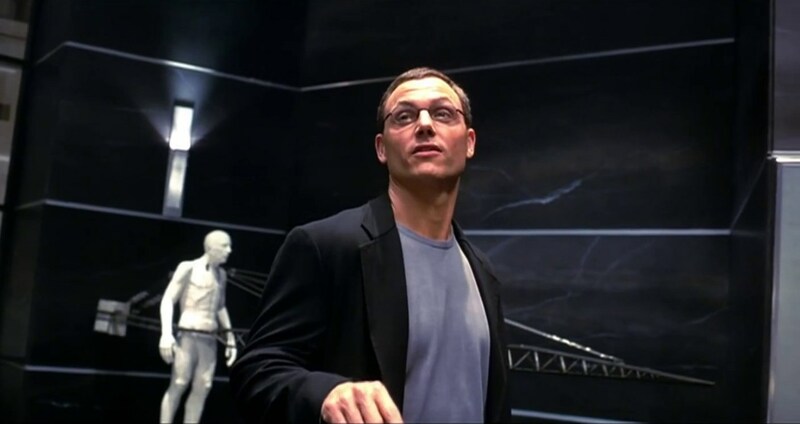 Oddly, the film’s arguments against cloning are not particularly coherent – it is seen as wrong because … – whereas the arguments in favour are made surprisingly persuasive thanks to a fine performance from Tony Goldwyn. As with many of Arnold Schwarzenegger’s modern films, The 6th Day peculiarly emerges as an action movie trying to toe a certain PC line with regard to violence. The pre-release publicity had Arnold Schwarzenegger pontificating about not wanting to be seen holding a gun on the poster (as though the lack of gun on the poster makes any difference to the number of guns that he by implication promotes the use of in waving them around for a substantial part of the film). There is an amusing scene with Arnie trying to rescue his family and telling two guards: “My daughter is on the other side of that door. I don’t want to expose her to any graphic violence, she gets enough of that in the media.” It is a scene that straddles a line just between the amusing and the self-consciously silly.